The Honda Amaze was the compact sedan benchmark for quite some time but lost its appeal thanks to stronger competition. Over the last few years, customers usually gave it the cold shoulder even though the Honda was the most fuel efficient in its class, had loads of space inside and was peppy behind the wheel. Come 2016 and there's good news. 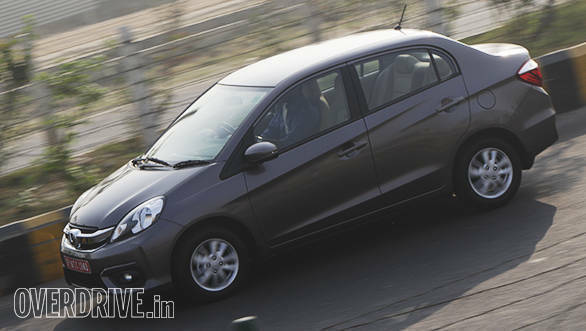 Honda India has decided to update the car before the Brio despite the latter being around for a longer time. The Amaze now gets a well-deserved facelift and is no longer the plain jane car that it used to be. 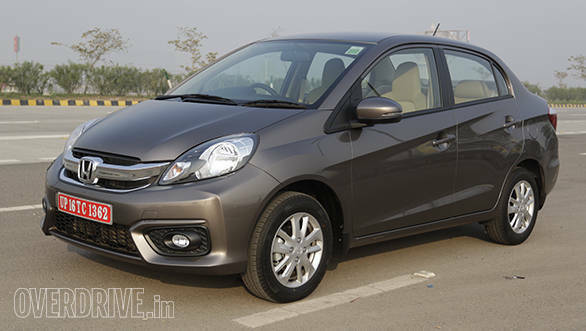 We have just driven the face lifted Honda Amaze. While you can dig all the information about the car here, read on to find out what else has changed. 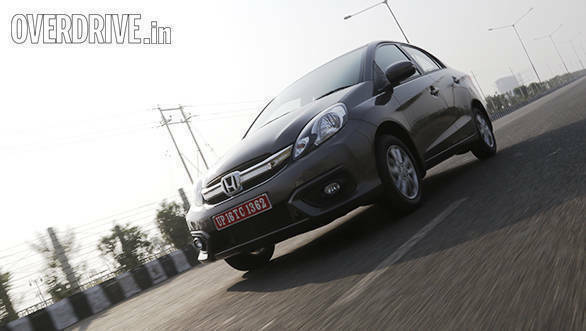 First off, as you will know by now, the Honda Amaze facelift brings in a cabin which is now at par with the segment. The not so intuitive touchscreen interface seen on the new trims introduced last year has been done away with. Last year when these systems were introduced, during the media drives, there was a widespread complaint about how the system wasn't up to the mark. The new 2-DIN Bluetooth-enabled music system though performs well. It was intuitive enough and pairing your phone and streaming music was an easy task. The speakers were also of decent quality but audiophiles will want to upgrade. The control switches too have undergone a big change. They seem more tactile and also modern. The large glovebox while being practical did not look to be of great quality in the older car. 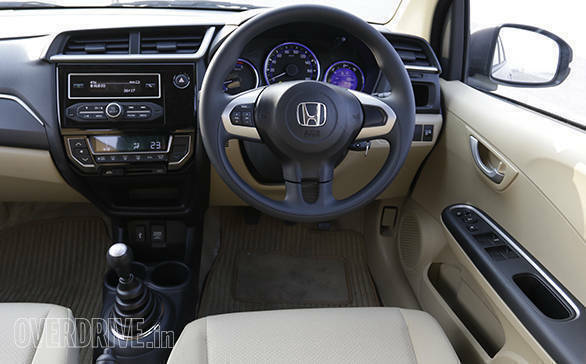 However, in the new Honda Amaze, this has changed with the use of superior quality materials in the cabin. While we are at the interior of the car, let me also tell you that the instrument cluster is new. It has the fuel gauge from the Jazz and other parts from the City. There are power adjusting and foldable mirrors, new beige upholstery which will definitely be a pain to keep stain free and a noticeable circle in place of the push button start. Yes, the facelifted car still doesn't get a keyless entry or engine start/stop button. Expect Honda to add all this at a later stage. Honda have utilised the entire sub-4m format effectively and the Amaze is very spacious for five grown ups. Similarly the boot too is class leading and can swallow 4-5 suitcases easily. To the other most significant change then. Honda has mated a CVT to the 90PS 1.2l i-VTEC (In the manual, the engine makes 88PS). We drove the car for a good 60kms and found the transmission to be a very smooth shifting unit. The CVT also gets a sport mode which lets the revs climb before upshifting. At 100kmph, in D mode, the engine is calmly sitting at 2,400rpm while in the Sport mode, the revs stay at 3,100rpm. 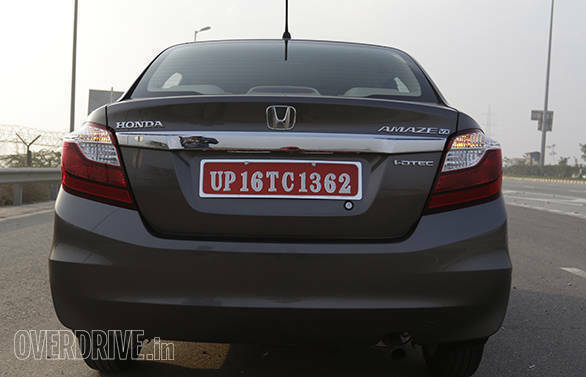 Incredibly enough, Honda claims a higher fuel efficiency of 18.1kmpl than the manual (17.4kmpl). The onboard trip computer showed us an efficiency of 13.2kmpl throughout the drive. The other engine that we sampled was the 100PS 1.5l i-DTEC. While there was no perceptible difference in the way she behaves, the gearbox seemed a bit reluctant to slot into the shift gate. Use of better insulation materials under the hood has helped the Amaze diesel to have improved NVH compared to before. The Honda Amaze then now becomes a complete package. A car, which it should ideally have been when it was launched in 2013. 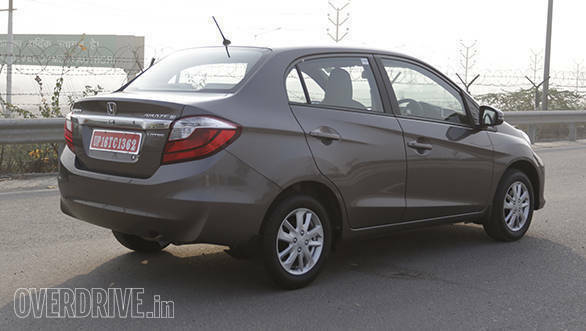 The new Honda Amaze now makes a strong case for itself in the highly competitive sub-4m sedan category. A segment that is dominated by the now ageing Maruti Swift Dzire. With dual airbags going to be optional on the base trims from May 2016, the new Amaze is a compelling buy indeed.